A very kind Chinese lady has been giving up her spare time to teach a small number of children at my son’s school how to speak Mandarin Chinese, and he really enjoys the lessons. She gave the students Chinese lucky charms for Christmas so last week he asked me if I would make her a Happy New Year card in return. I only had 2 hours’ notice so this was a bit rushed but I was quite pleased with how it turned out. 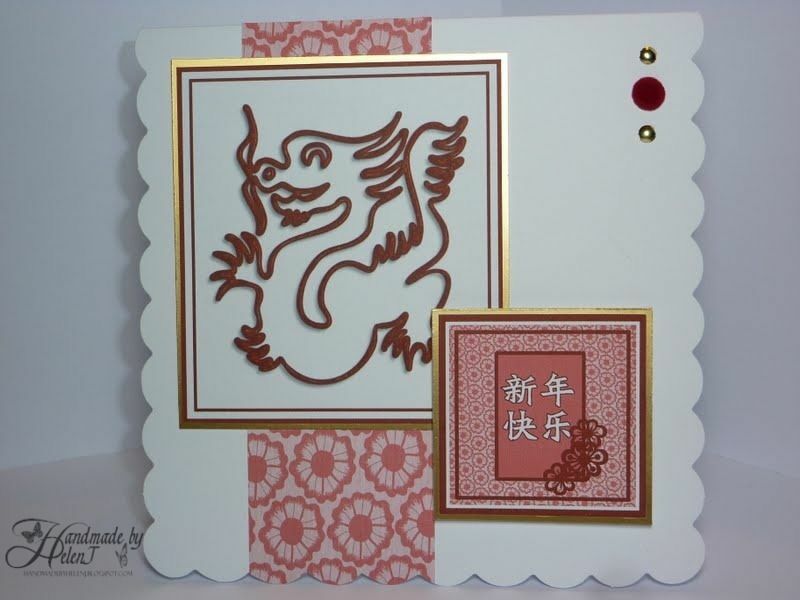 The dragon motif & backing paper were from Craft Artist Platinum, the sentiment was downloaded from the internet & the brads/mirri card were from my stash. 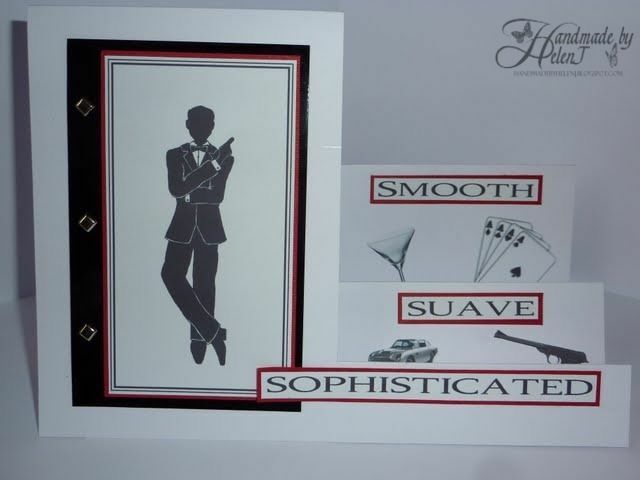 Smooth, suave & sophisticated . . . Since I discovered Craft Artist I haven’t done much hands-on crafting, I really should get back to it soon but digi scrapping is just too addictive. So here’s my first page; I know that if I had the full version of the software I would do things differently – the free version is great but for obvious reasons its functionality is limited. These are old pictures now, taken when my son had just turned 6 – he’s now 12! 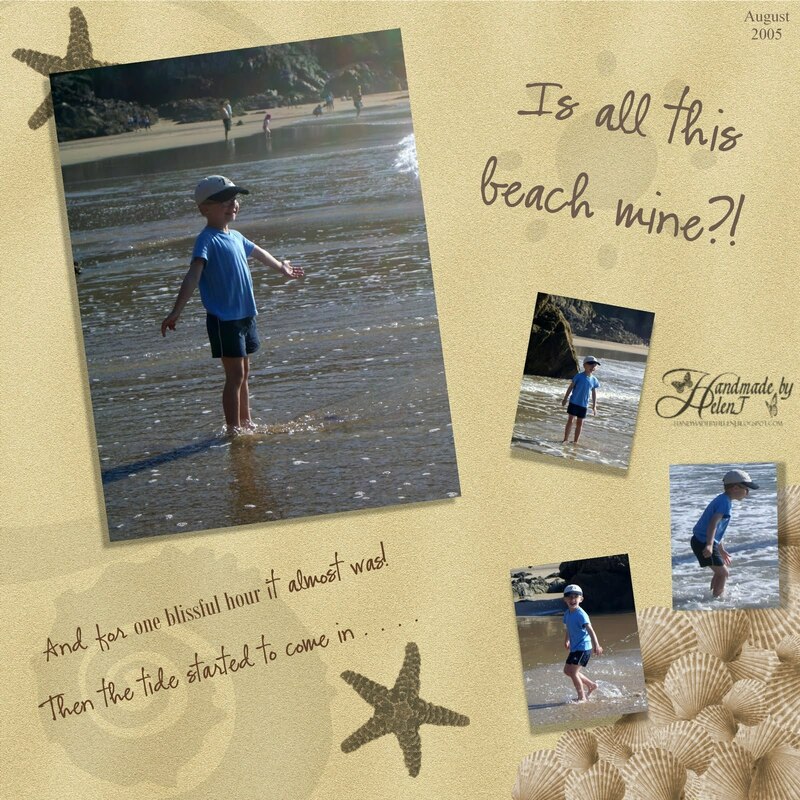 They bring back memories of a fantastic afternoon when we stumbled across a perfect beach and ended up with a cove almost to ourselves; only one other family besides us. Then suddenly we realised that the tide was coming in & we had to pack up quickly, otherwise we’d be cut off! I forgot to post a picture of this one, the inspiration for it came from here: http://cliona-at-night-owl.blogspot.com/2011/12/folded-christmas-tree-card-tutorial.html. I wasn’t entirely happy with the finished card but ran out of time! 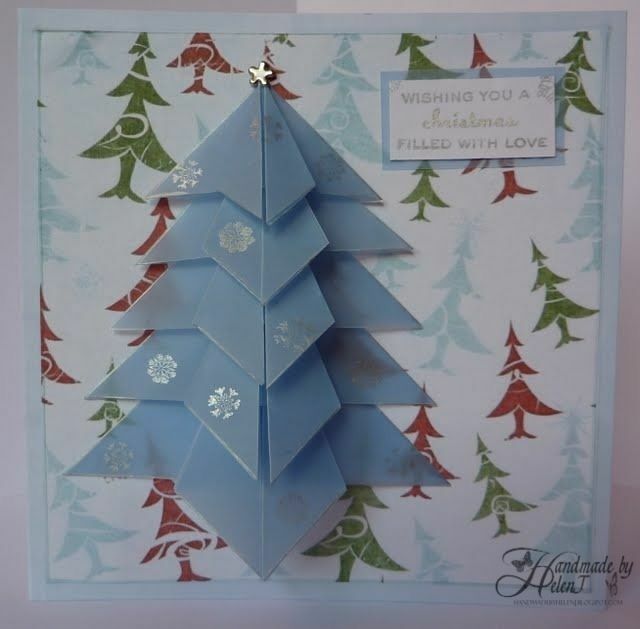 Blue vellum, white card edged with Promarkers, snowflakes on tree stamped from stamps free in Simply Homemade magazine, backing paper free from here.